Basically, armored fiber cable retains just as much protection reliability as with an innerduct, but for potentially less money and construction time. However, every rose has its thorn, by choosing to use armored fiber you might be saving time and money, but certain sacrifices must be made as well. When you install an innerduct, one of the main benefits is that it is a cabling pathway and can be reused should you need to replace the fiber optic cable or add new fiber capacity . If the innerduct has not reached its fill ratio, the additional space left within the innerduct allows for another cable to be run through the existing innerduct thereby maximizing your investment. Should you need to do the same thing with armored cable, you will incur the cost of having to buy and install new armored cable, which is more expensive than standard fiber optic cable. It is important to consider this when making the decision on whether to go with armored fiber cable or innerduct. 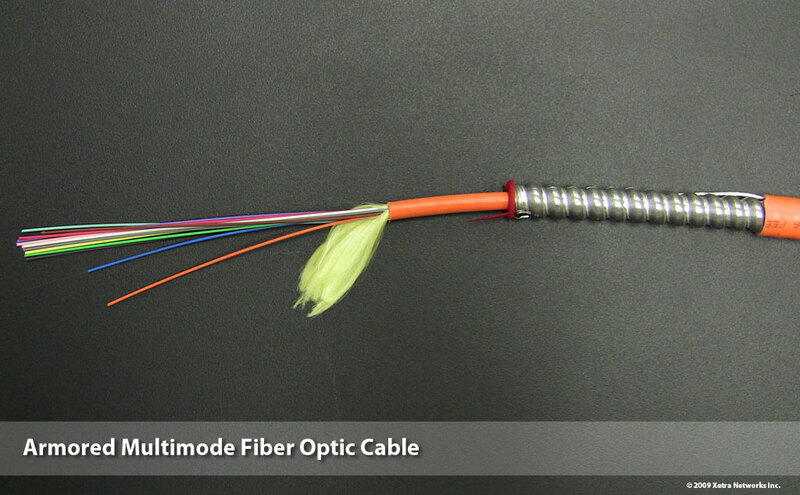 While both are excellent methods of cable protection, it is essential to analyze your fiber cabling needs for both the present and the future, and make your choice based on what your specific requirements are, making sure to plan for potential changes that may occur involving your fiber optic network infrastructure.